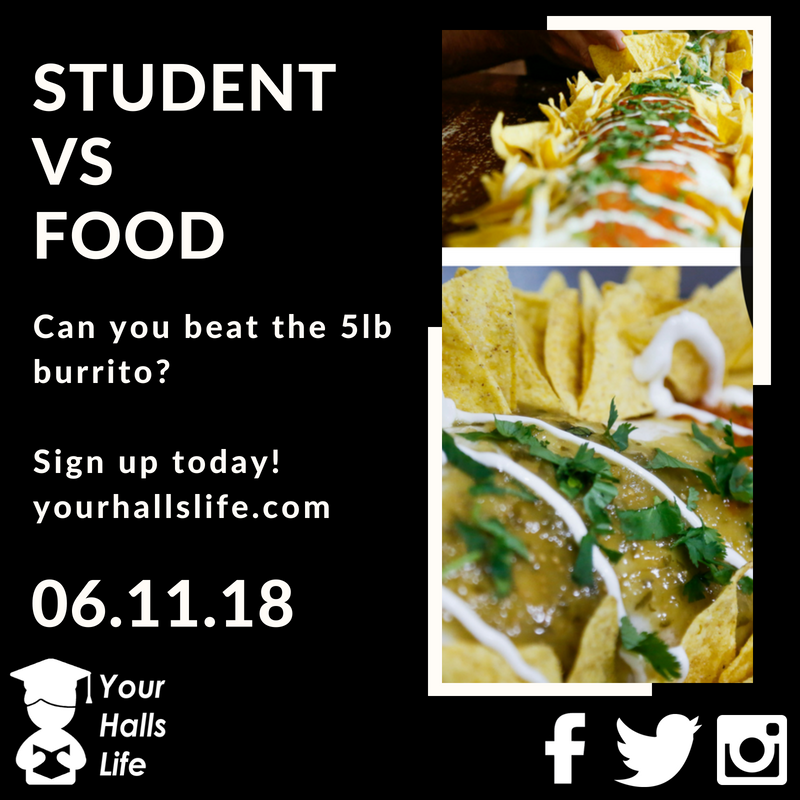 Do you have what it takes to beat on the 5lb burrito? Event is held off-campus at Mission Burrito. *Signing up commits you to attending. If unable to make the challenge, you must email us to let us know. *Please note this event is not suitable for those suffering with food allergens. Vegetarian option is available for challenge.